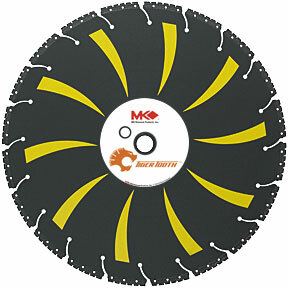 Premium grade multipurpose blade for wood, plastic, steel, concrete, masonry and ductile pipe. As a part of the System Assessment and Validation for Emergency Responders (SAVER) Program, Texas A&M Engineering, including Texas Engineering Extension Service (TEEX) and Texas Transportation Institute (TTI), conducted a comparative assessment of multipurpose cutoff saw blades. 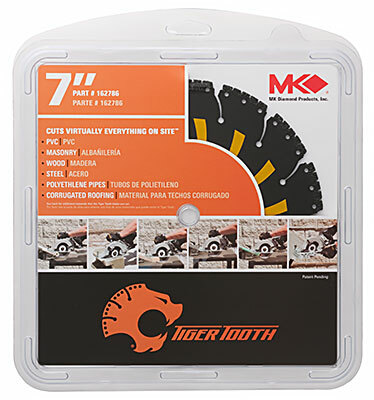 The MK Diamond Tiger Tooth blade rated highest of all blades tested. The findings are presented in the Multipurpose Cutoff Saw Blades Assessment Overview, which is can be accessed at this link.